I’m a good girl, I am. I eat my greens, cleanse my face, try not to live too sedentary a life, and even find time to wash my make-up brushes after each use. Despite my good intentions, the one thing that often slips through the net is taking supplements. Now I know that as a veggie I should be taking omegas daily, and that I’m probably a bit deficient in iron and magnesium too, but I can’t help but go through fits and starts in the old supplementing game. Part of the problem? There are so many pills to pop and when I’m busy it all just feels a bit of a faff. 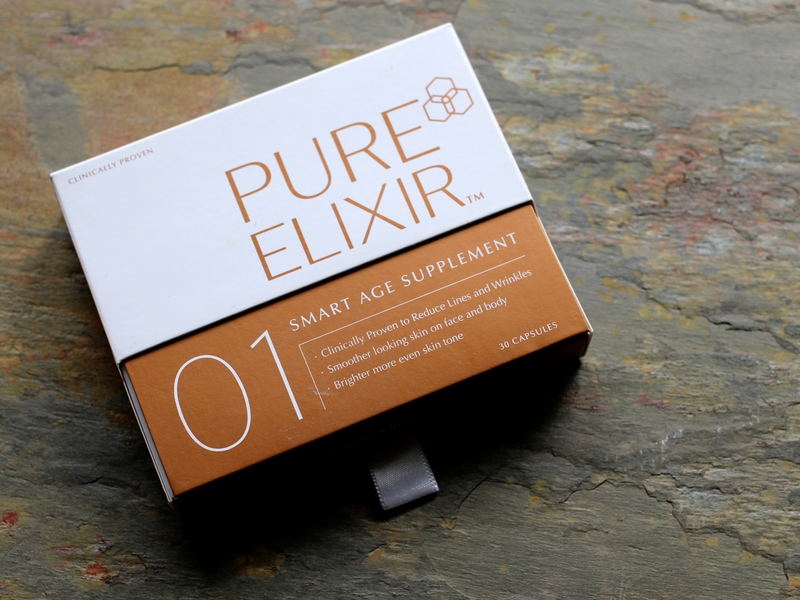 I was therefore delighted when Pure Elixir 01 landed on my desk* – made by beauty industry veteran Amanda Henson, the supplements are designed, in her words, to ‘deliver the best results, once a day, at a time that suits you.’ And they’re all geared towards making skin look less haggard (with clinical trials showing a 23% reduction in wrinkles after 8 weeks of supplementing), and glowing. Hell yes to that. ‘There are so many things we women ‘have to do’ each day and failing to do them can sometimes make us feel like a bad person or a failure. I wanted to make this easy. Taking one pill a day makes it much more likely that people will adopt the habit and therefore see the full benefits on the skin. 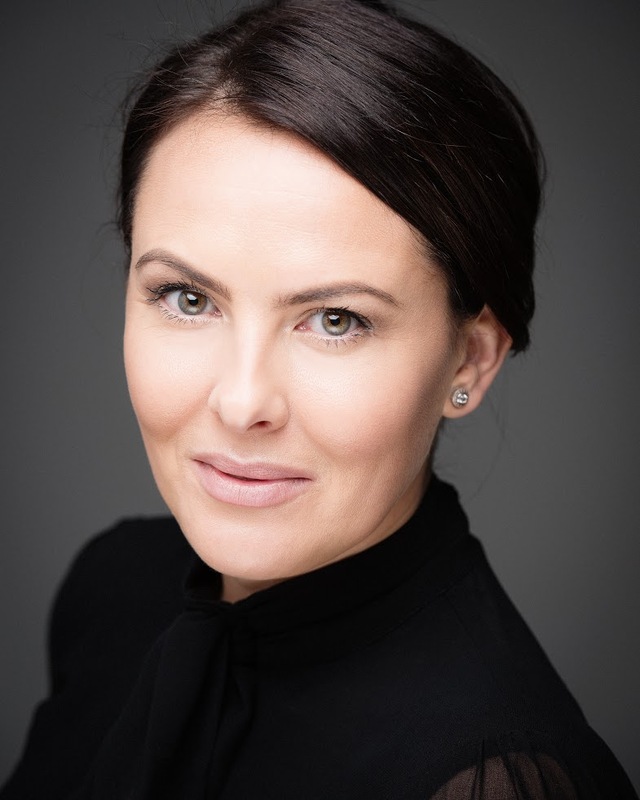 I’ve worked in beauty for 17 years, developing and marketing skincare for some of the world’s biggest and best companies like Liz Earle and The Body Shop. At Unilever, my two passions of skin and nutrition were fused when I helped launch their industry-changing anti-ageing technology to the market through a supplement. During the process, I was struck by all the things wrong with the supplement market – the dodgy packaging, mystery ingredients, low levels/poor quality of the ingredients and unproven products. 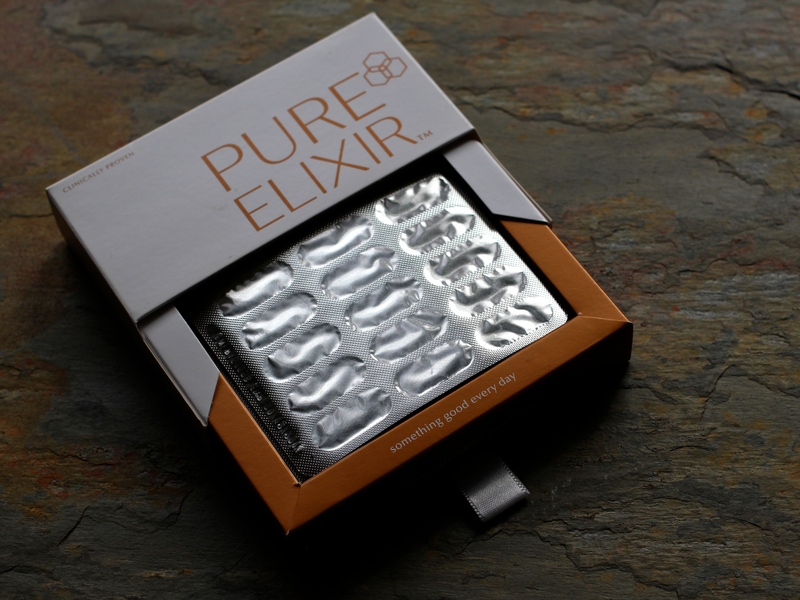 Formulating Pure Elixir 01 took two years and countless iterations, but the hard work was all worth it to give our customers full transparency on our ingredients and the (brilliant) results of the clinical trials. – Marine Collagen / This contains antioxidant properties to repair and prevent skin damage. – Vitamins C & E / These help protect the skin against sun damage and help to reverse pigmentation and premature ageing. – Soya Isoflavones / To boost collagen formation and therefore reduce wrinkles. – Low Molecular Weight Hyaluronic Acid / Taken as a supplement, the anti-inflammatory properties support regeneration. – Lycopene / This tomato extract is a powerful antioxidant and is well-documented in reducing sun damage. Deciding on the level of ingredients in the formula involved a lot of research. A team of dermatologist, bio-scientists and myself found that this supplement is truly absorbed daily by the body – many other supplements may contain high doses that are literally flushed down the toilet! We also took out bulking agents. * As the capsules aren’t yet veggie, I just sprinkle the contents onto my morning oats or into a glass of water.